Hold your heart beats because Fahad Hussayn bridal dresses 2016 for women has all arrived inside the market world. As you would be catching this collection you would forget blinking your eyes. 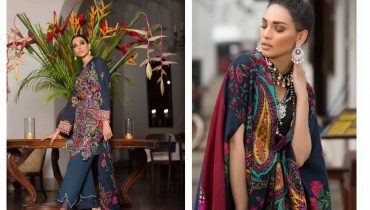 Complete pictures of these Fahad Hussayn 2016 fall dresses are shared over here. 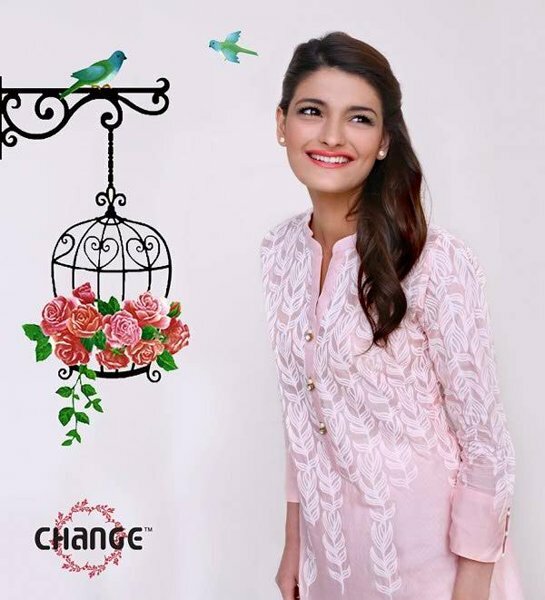 In this newly launched 2016 Fahad Hussayn fall dresses for women, the designer has been offering out elegant and magnificent designed wedding dresses for women. This is surely coming out to be the classy wedding collection so far. 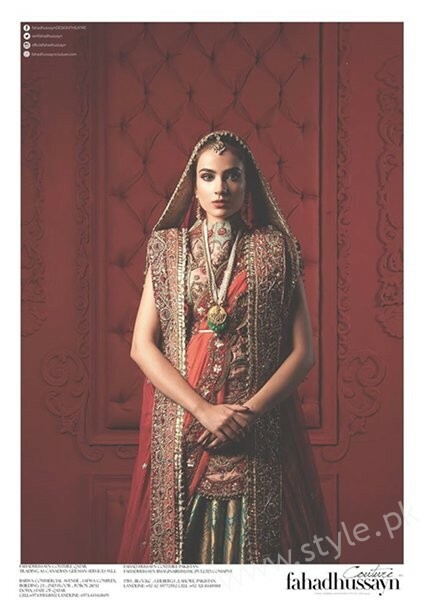 For the women corner, Fahad Hussayn has set up the lehengas in a complete royal traditional impression. It is heavy in working embellishment that involved the use of heavy embroidery with dabka and gota work. Pure 100% jamawar and silk tissue fabrics are used for the collection line. Mentioning about the men corner, the designer has put forward the sherwanis with turbans in the complete Mughal style. Sherwanis are itself adorned in the beautiful concept of the stone and gota work that is all done on the neckline and sleeves. Brown, black and grey colors are commonly used in these Fahad Hussayn bridal dresses 2016. Let’s catch with some amazing pictures straight from Fahad Hussayn bridal dresses 2016 collection. 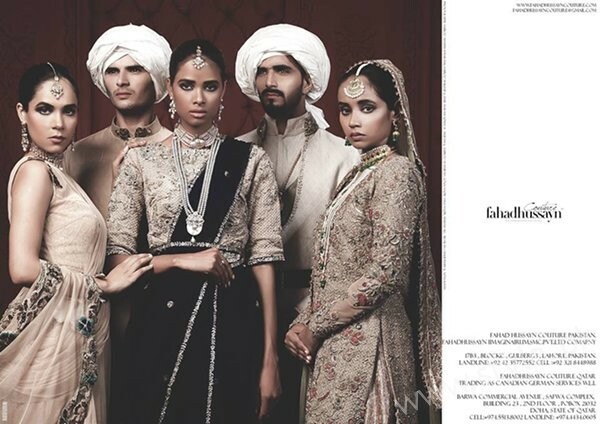 The collection is photographed by the amazing Maram & Aabroo Salon and Studio that is featuring Junaid Khan, Alyzeh Gabol , Maham Ali, Sonia Nazir, as well as Susan Khan Sana Nazir & Arsalan chaudhry jewels by Shafaq Habib. This is not the first time that Fahad Hussayn has arrived with such a superb collection of wedding wear. His wedding collections are no doubt one of the most wanted collections inside the market world. He do highlight his collections in the fashion shows too whose designing, styling and use of color combinations are appreciated each single time. 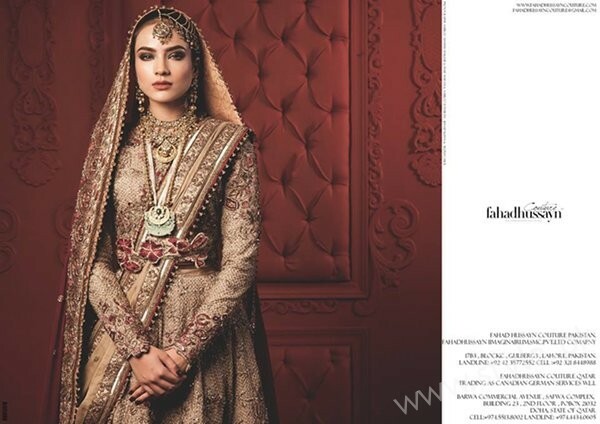 You will love this Fahad Hussayn fall 2016 wedding wear collection for sure.